Whether you’ve chosen a Cornish camping holiday so you can bask on glorious beaches, explore quaint fishing villages or visit the Eden Project, pitching up in St Austell just makes sense. St Austell is Cornwall’s largest town and shares its name with a nearby south coast bay that’s fringed by family-friendly beaches. Camp or glamp in St Austell and Cornwall’s top attractions will be within easy reach along with picture-perfect villages like Charlestown and Mevagissey. And now you’ve settled on a great location, it's time to pick a campsite. 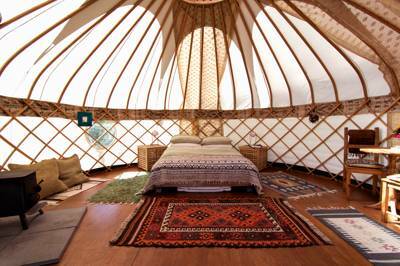 To make that a little easier for you, we’ve explored shoreside and countryside in a bid to find the best camping and glamping sites in St Austell. Dating back to the 13th century, the busy market town of St Austell is an excellent focal point for any camping or glamping holiday. Sandy, family-friendly beaches follow the great curve of St Austell Bay, with classic Cornish villages like Charlestown and Mevagissey within easy reach. 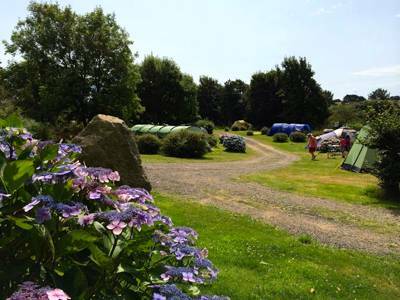 St Austell also plays host to some of Cornwall's top attractions, including The Lost Gardens of Heligan and the world-famous Eden Project, leaving local campers well placed to make the most of their surroundings. 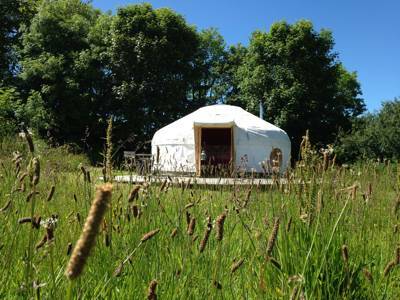 There are plenty of camping and glamping sites in the St Austell area from blissfully basic places to pitch a tent to glamping pads with all the bells and whistles you could hope for. 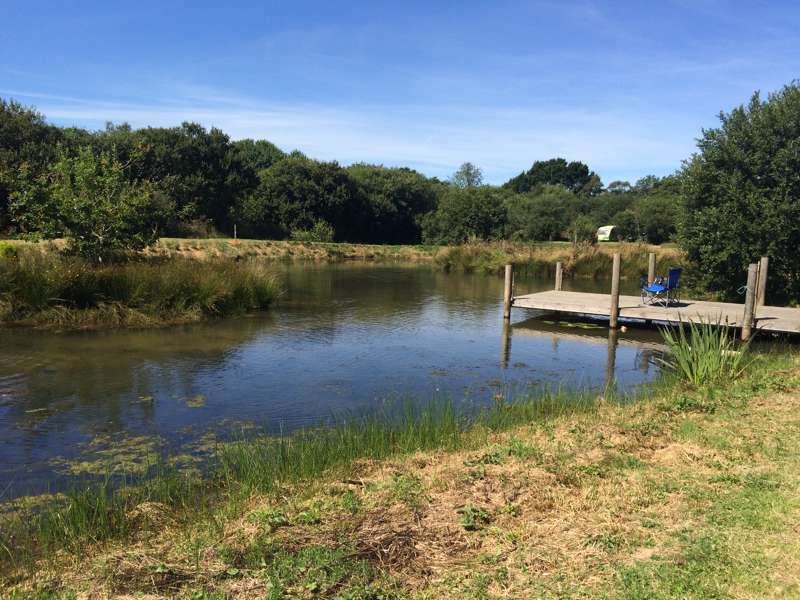 Whether you’re looking for a simple grassy pitch or an electric hook-up for your campervan, a bell tent, yurt or geodesic dome, you should find something to suit among our carefully-selected Cool Camping St Austell sites. St Austell has glorious beaches, its own brewery and a location that’s enviably close to both the Lost Gardens of Heligan and the Eden Project so there's plenty to do on days out during a camping holiday here. You can stock up and pick up souvenirs in St Austell with its modern shops and while you’re in town why not pay a visit to the St Austell Brewery’s visitor centre? Nearby Charlestown has a wealth of Georgian architecture and an interesting collection of stories and found-treasures at the Shipwreck Centre. For a cutesy fishing village, try Mevagissey with its winding narrow streets and working harbour. If you’ve come for the coast, you won’t be disappointed by Cornwall’s 300 miles of varied coastline. There are beaches galore and for swimming, watersports and sandcastle-building in St Austell Bay, you might like to try Porthpean Beach or Par Sands. But St Austell is well located for exploring all of the south coast and it’s a drive of only around 30 minutes to reach the rugged north coast of Cornwall, including Newquay with its famous surf-friendly beaches. For land-based adventure you can walk along the South West Coast Path, the long-distance walking trail that skirts the edge of south west from Somerset to Dorset, or hire bikes to tackle the Clay Trails. 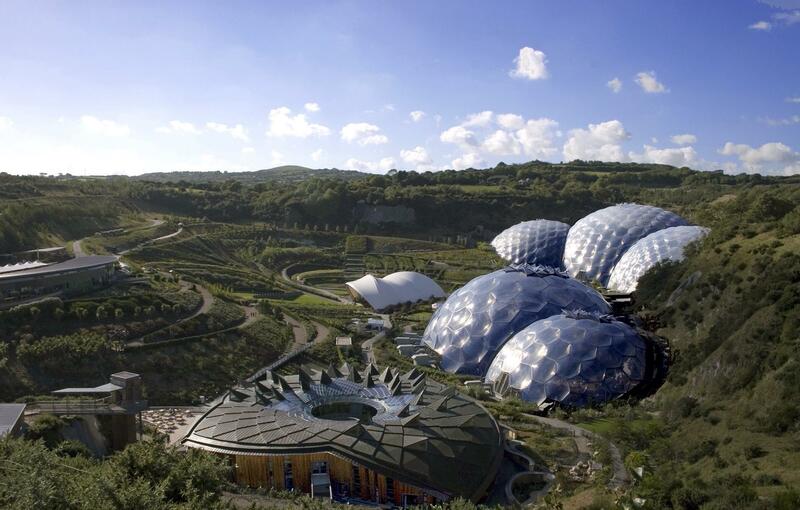 These cross -country routes link some of the sights in the area including St Austell town, Par Sands, the Eden Project and the Wheal Martyn Clay Works and Country Park where you can learn more about the china clay which the area was mined for. For more information on things to do while you’re camping in St Austell visit the tourist information centres in town or their website. St. Austell Camping Campsites Cornwall Glamping Campervanning Eden Project Charlestown Mevagissey Heligan Gardens at St. Austell Camping, Close to key attractions like the Eden Project, Heligan Gardens and the pretty fishing port of Mevagissey, historic St Austell Bay is a prime destination for any camping holiday in Cornwall. 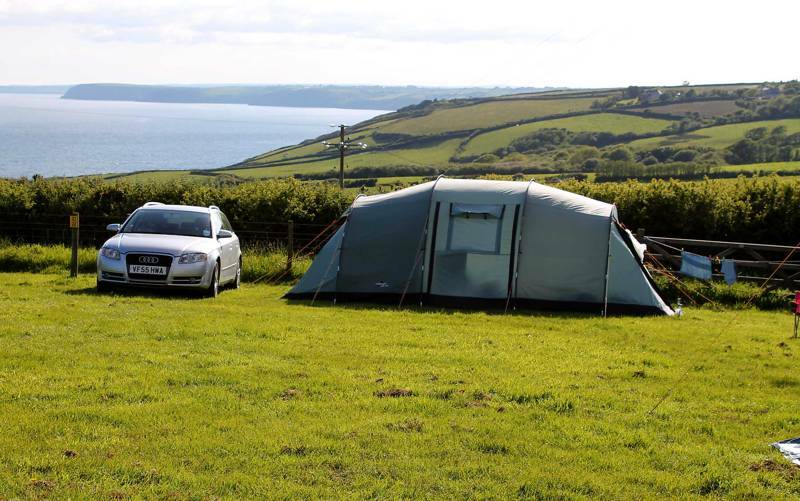 Grab the beach ball, pack the tent and fill the car... it's time to book the St Austell campsite that's right for you.